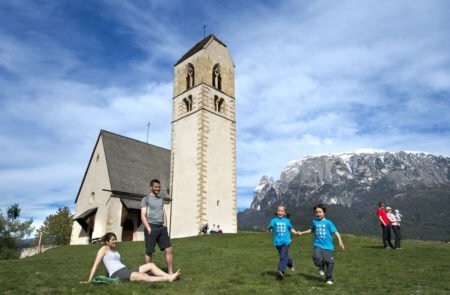 The idyllic Heideggerhof is both in an idyllic area near Völs am Schlern at the foot of impressive peaks and is perfect for a rural holiday in the Dolomites. 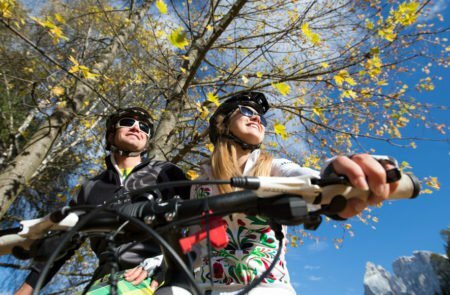 The picturesque farmhouse is on a plateau on the edge of the forest since more than 50 years and is an ideal starting point for hikes in South Tyrolean alps throughout the year, for cycling tours in the Eisack valley or for winter sports in the Dolomites. Various offers are waiting for you, from rest and relaxation at the farm to long walks and tours that start right outside the front door. The Heideggerhof is located 1000 meters above sea level around 3 kilometers above the town of Völs am Schlern and belongs administratively to the tiny village of Ums. The farm itself was established in 1958 and has been receiving tourists and vacationers in newly built residential building since 2004. 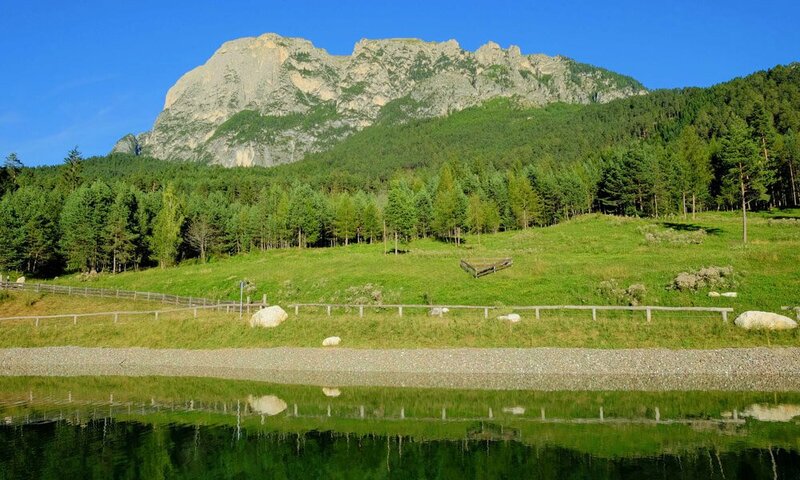 In addition to the beautiful surroundings of mountain, forest and meadow the experience “farm” is especially worth a trip for families with children. To harvest strawberries and tomatoes in the garden, to bring the eggs out of the stable, to pet calves and watch over the shoulder the farmers at the stable work, are exceptional vacation experiences that will not be forgotten soon. Animal fans come fully at their expense at the Heideggerhof in Völs. 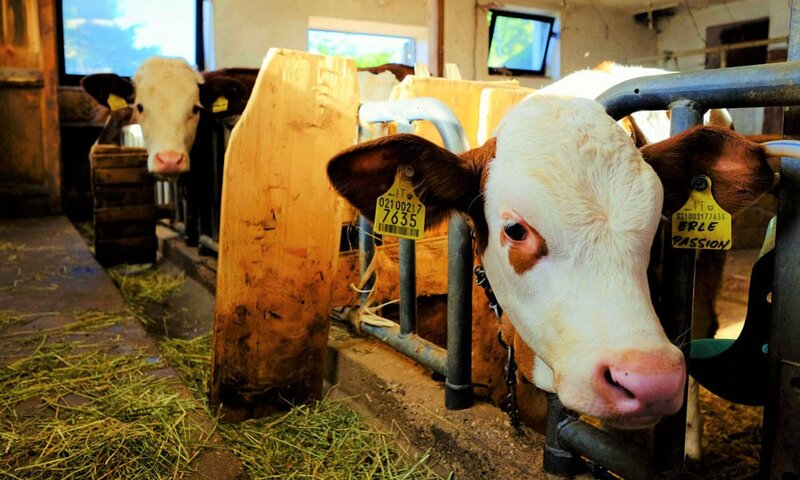 Directly at the farm calves are bred, which may be observed in the pasture and petted in the barn. Children are particularly impressed by the Bernese Mountain Dog Sultan, who is also caress willingly and constantly up for a joke. Not so the cat named Susi of the court, which can be rarely seen around, but occasionally deign to appear, stroking and purring around guests feet. On the other Hand, the sweet offspring named Maxi and Flecki, who are very playful and kidding with the dog, love to be the center of attention. The secret star among Heidegger-farm animals is the brown white piebald pony, which will immediately capture you with his sky-blue eyes. A pig and several chickens are also animal inhabitants of the Heideggerhof. Bacon, eggs, fresh herbs and vegetables from the garden are offered as farm products depending on the season, to make your start into the day at the South Tyrolean farm so special. 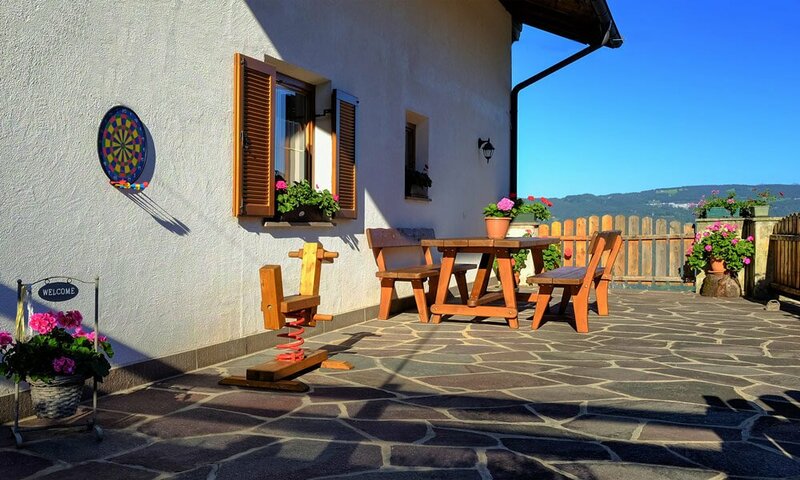 The holiday guests of Heideggerhof especially appreciate its magnificent location on the sunny side and the warm hospitality of the farmer’s family. The courteous helpfulness is positively emphasized in all reviews, as well as the familiarity of the yard-dog Sultan. Another reason to spend a farm holiday at the Heideggerhof in Völs, is the magnificent panoramic view. 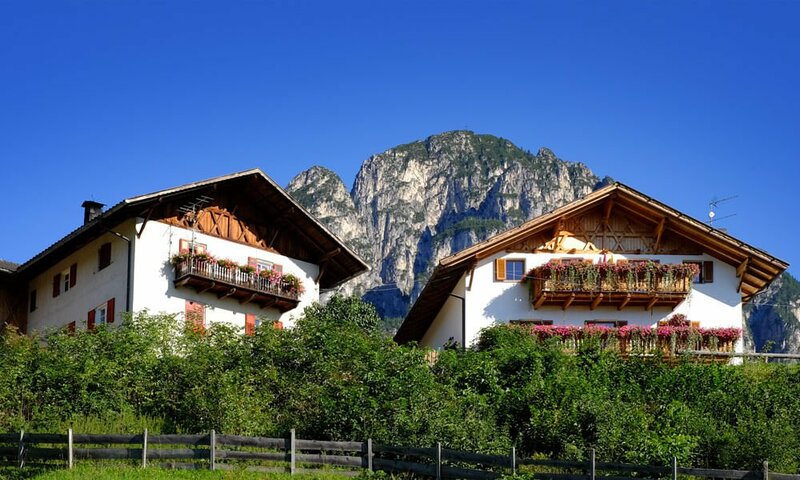 Directly from your balcony you can have a look at the rugged and sometimes snowy peaks of the surrounding mountains, the picturesque location of Völs am Schlern, the Prösels Castle and continue over the entire Eisack valley. The sensational panorama presents at its best in the spring, when meadows and fruit trees combine into a fragrant sea of flowers and let the valley shine in white and pink glow. The magnificent view from Heideggerhof can be best enjoyed on a warm summer evening, when it is already cool due to the location near the forest, but it is still sunny. Sunsets, which will leave you a lasting memory, are actually also among the highlights of the Heideggerhof. The newly built irrigation pond is located in about 10 minutes walking distance from the Heideggerhof. A beautiful walkway invites you to a leisurely walk around the pond.